PHP Hosting - ChoosePHP version and modules to use per website. Currently we support PHP 4.4 to 7.3. Any new version will be added as soon as it has been released. We enabled the standard PHP modules you are used to and are required for most apps by default. However, you can choose to enable/disable additional modules for each PHP version in your account. Order hosting with this great PHP setup now! 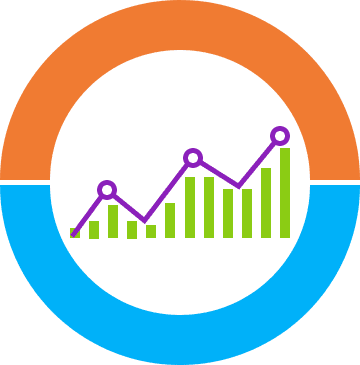 PHP LiteSpeed SAPI has been developed to push PHP performance to the next level. We currently support PHP 4.4 to 7.3. 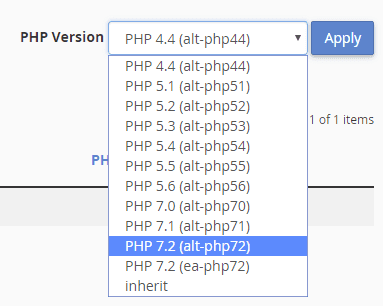 You might wonder how and why we still support such old PHP versions as 4.4.Choose your PHP version per domainThose old versions contain so called back ports of any security issues that are patched in newer versions of PHP. So, while we do not recommend using old PHP versions, if you have an old app that you have to run you can at least be certain that the PHP itself is not vulnerable. Please keep in mind though that your old PHP app however is very likely vulnerable to hacks. 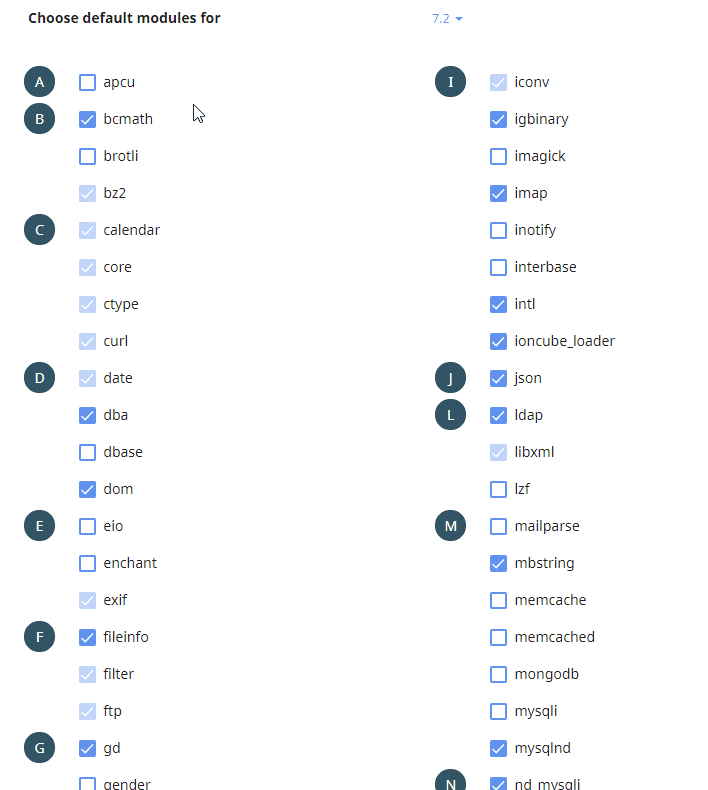 If you like you can even set a different PHP version for any folder within your website. Just contact support for instructions. As stated, you can choose any PHP extension you like to be enabled in your PHP setup. We pride ourselves to offer a large amount of PHP extensions that normally are unavailable in shared hosting accounts.